Antiques. The word often brings to mind a Ming vase, Tiffany lamp, flow blue platter, or a Belter chair. But to Joan Bogart, a dealer who specializes in garden antiques, the word inspires images of a Timmes bench, cast iron urns, a Coalbrookdale plant stand, or a Fiske fountain. Bogart had her “aha!” moment in the 1970s when she studied a museum exhibit catalog and noticed photos of cast iron furniture interspersed with those of grandly upholstered parlor sets. The resemblance was undeniable: The same exquisite details that were carved into wood were also cast in iron. 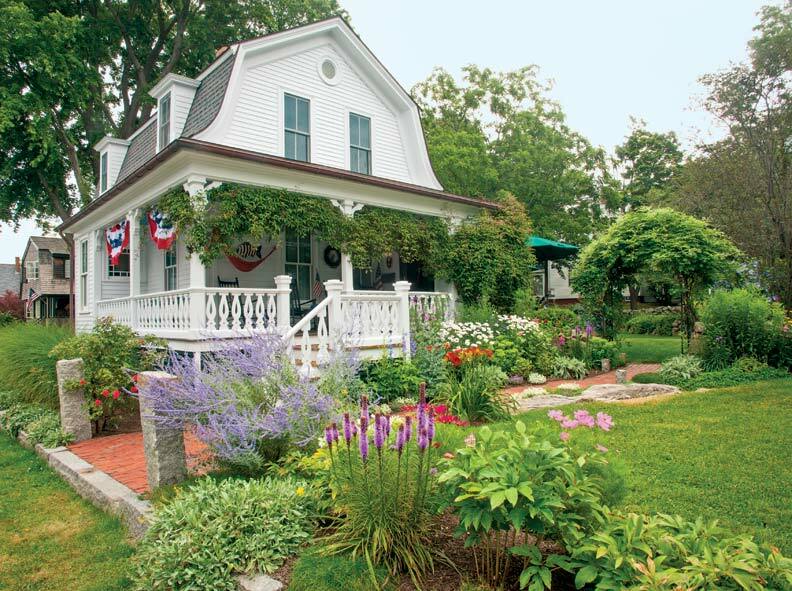 “I realized,” she recalls, “that you can bring the interior of your restored home outdoors by putting a cast iron bench in your back yard!” Her insight was the same revelation early Victorians had as they domesticated their yards with outdoor versions of their interiors, extending their living space beyond the home’s four walls. In fact, the Victorians were just reviving a time-honored practice of garden embellishment that began with the Romans, who displayed copies of Greek statues in their villa gardens. Later, during the Renaissance, Italians salvaged the Romans’ statuary to incorporate in their own gardens. Well-to-do American colonists, in turn, imported the garden styling of European tastemakers—Martha Washington’s father-in-law, for example, used lead copies of Roman statuary in his Williamsburg garden. For the Victorians, it was a reflection of status to ornament their gardens with souvenirs of antiquity purchased on their Grand Tours of Europe, thus propagating the tradition of garnishing one’s yard with antiques. Increasingly, old-house restorers striving for period consistency find that adding a garden antique helps achieve authenticity. 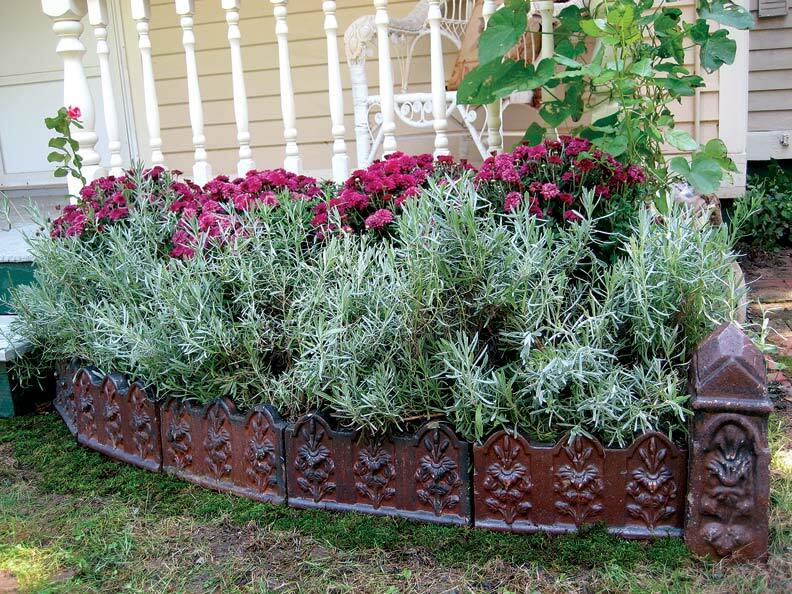 No mere decorative accent, a garden antique provides a focal point while adding a layer of age to the design. The most popular garden antique, both during the Victorian era and now, is the urn. It wasn’t until cast iron foundries mass-produced affordable versions of this garden staple that the emerging middle class could enhance their gardens with urns in revival styles from ancient to Renaissance. 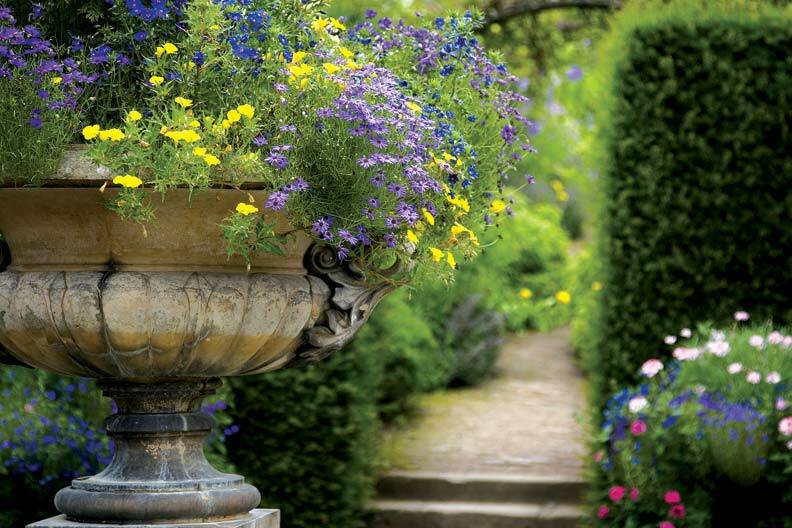 Today, as then, upright urns are best for small gardens, with wide urns requiring a larger space. In summer days before air conditioning, Victorians eschewed entertaining in their homes’ overheated interiors for the open-air parlors of their gardens. Proper furnishings were essential. A cast iron settee and chairs were grouped with a small table, an arrangement that still works for entertaining, reading, or relaxing. Fern mania broke out in the 1800s and inspired manufacturers to design seats with fern fronds arching across the open backs. Other naturalistic patterns included grapevines, rustic interlacing twigs, lily-of-the-valley, and the highly desirable passion flower. Many seats and benches were originally painted, and today can be left “shabby chic” or repainted. 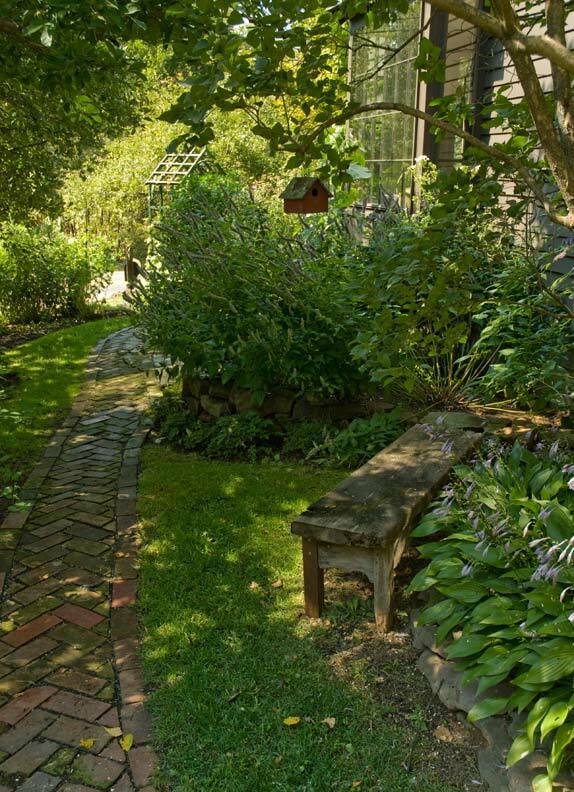 Salvaged gates, trellises, and other elements can lend architectural drama to a garden. The side of a shed can become a beautiful focal point when embellished with tall antique fence sections planted with climbing heirloom roses, honeysuckle, or clematis. Hitching posts can be repurposed to tether top-heavy flowers. Remnants of a broken pedestal or stone balustrade can be inexpensive and follow the Victorian example of including a “ruin” as a sentimental homage to the past. 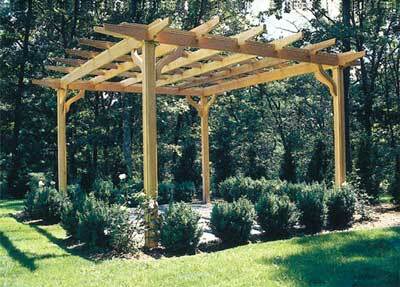 Stand-alone elements can provide a focal point for the garden. Statuary—such as carved stone and cast iron dogs, sphinxes, goddesses, and nymphs—have a lineage going back to Roman courtyard gardens. A sundial provides the perfect allusion to the timelessness of a garden. Historically, sundials were set in the center of a garden bed, often raised on low platforms of brick or stone. 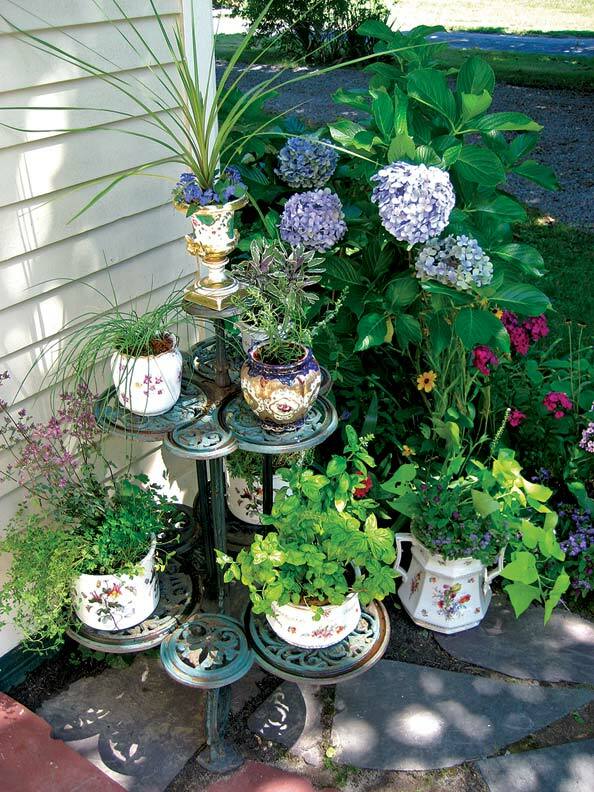 Mid-19th-century plant stands in freestanding or semicircular forms (for snug placement against the house) provide a decorative base for displaying plants. Heavy cast iron multi-tiered designs and lightweight wirework stands were equally cherished by Victorians. It’s the fountain, however, that takes the top prize of garden ornamentation. In the 19th century, the tiered fountains of J.W. Fiske and J.L. Mott were a preeminent attraction at public parks and international exhibits like the Crystal Palace and the Philadelphia Centennial. After 1870, when industrial advances made small-scale plumbing possible, the fountain was scaled down for private ownership. If an antique fountain cannot be returned to working order, its basin can be manually filled and emptied, becoming the grandest birdbath on the block. Keep in mind that fountains should be kept away from trees or bushes that shed leaves and flowers, and if a fountain is mounted in a brick wall, the wall must be reinforced for structural support. When selecting an antique for the garden, scale is as important as placement—let the size and formality of the space suggest the size of the antique, but keep in mind that the massive piece that looked magnificent on site at an estate sale will not retain its grandeur when shoehorned into a garden nook. Remember to keep ornaments and plants in balance so that they link to the house and each other harmoniously. A significant antique can be cleverly used to distract from a less attractive part of the garden, but too many antiques in a small space creates a visual competition that detracts from the overall ambiance, so it’s better to be selective. Originally fabricated for outdoor use, garden antiques are sturdy enough to withstand the rigors of weather, but Chini Alarco Whitmore, owner of Charles Whitmore Gardens, offers some specific advice. 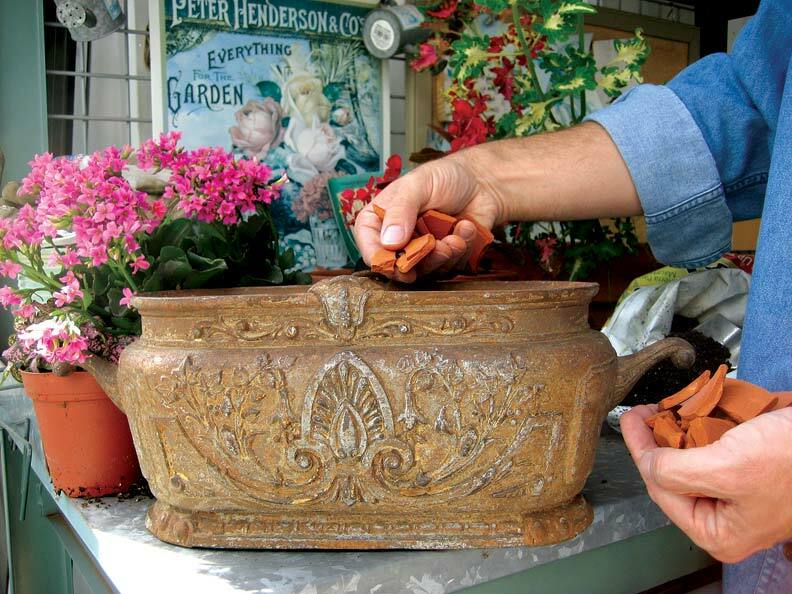 There’s no need to line an antique urn when preparing it for plants, but to ensure proper drainage, place a 1" to 2" layer of clay shards or shale pebbles on the bottom, spade on a layer of mulch, and finish with a nutrient-enriched organic soil. At the end of the season, turn the urn upside down and raise it slightly off the ground so air can circulate. Terracotta pots should be brought inside after the first frost to prevent them from getting damaged by the freeze/thaw cycle. Stone antiques can stay uncovered outdoors. Drain fountains before the first frost and, along with fences, clean in the spring, check for rust, and touch up with rustproof oil-based paint if need be. (Smaller cast iron pieces can be taken indoors during the winter.) It’s also a good idea, upon purchasing a garden antique, to ask the seller if there are any particular directions for its maintenance. Restoration does more than connect us to the past; it reenergizes the past and allows us to relish the same pleasures our predecessors enjoyed. In this respect, a garden antique is not a shrine to a bygone era, but rather a point on the circle of its existence, coming around the curve once again as it is reused by yet another generation. Catherine B. Harperis a freelance writer who specializes in Victorian décor.